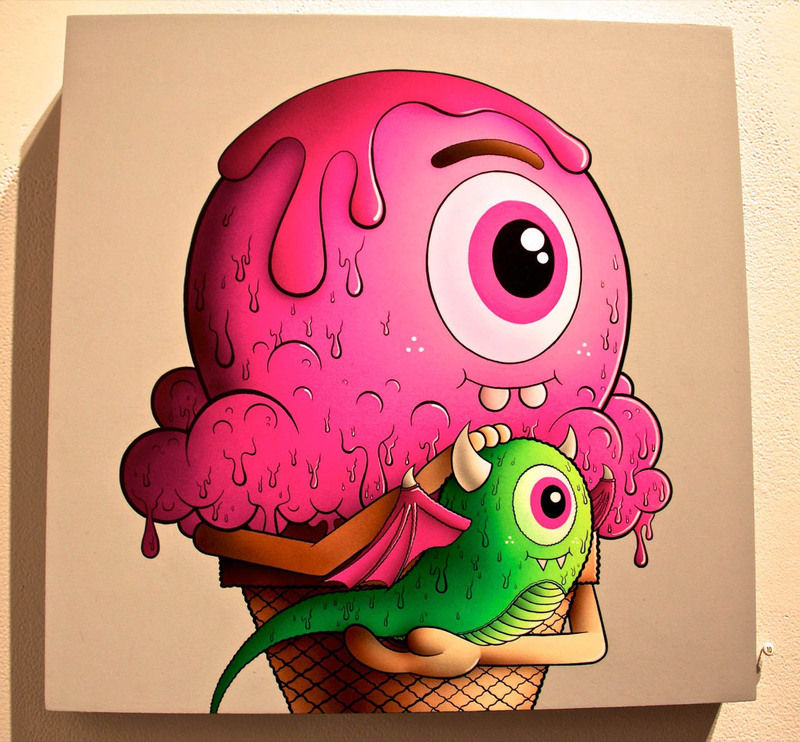 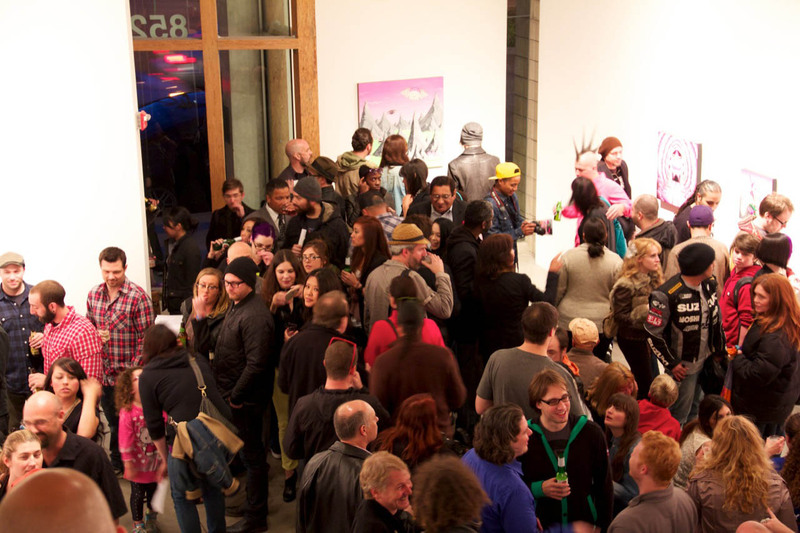 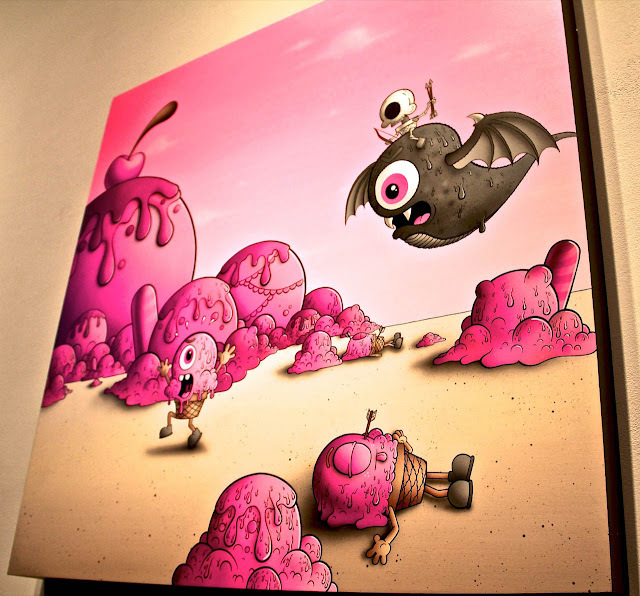 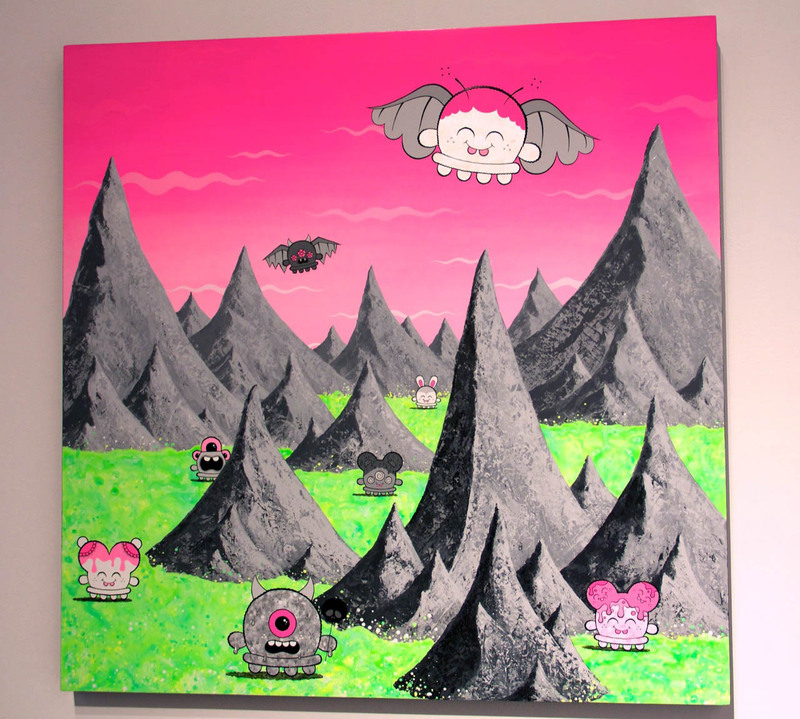 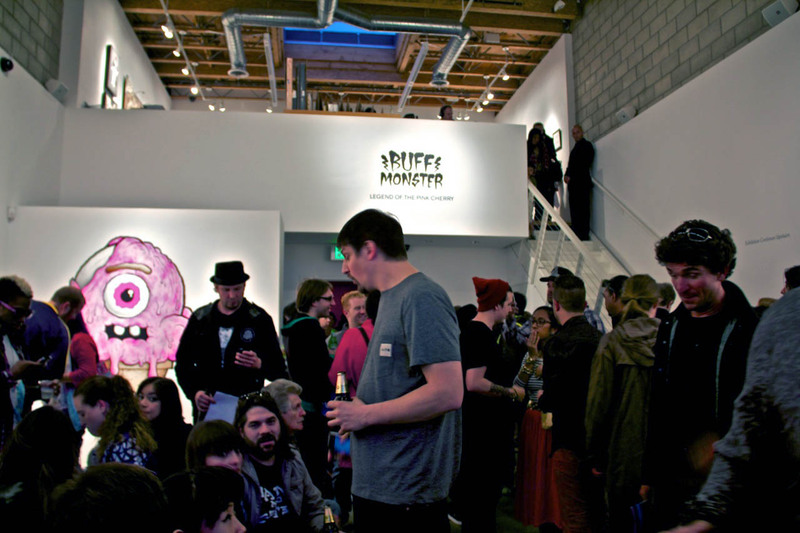 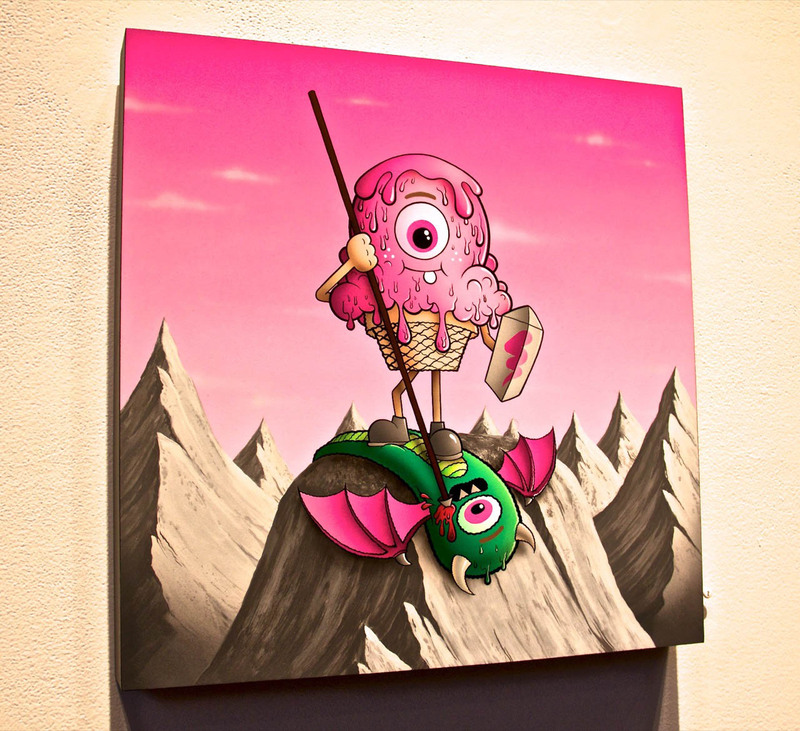 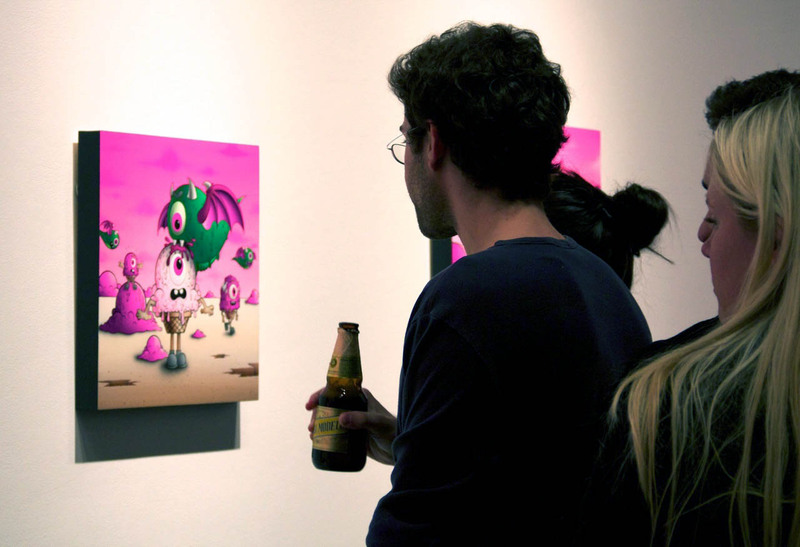 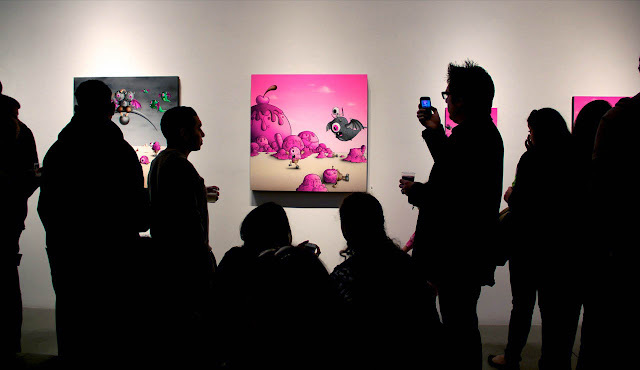 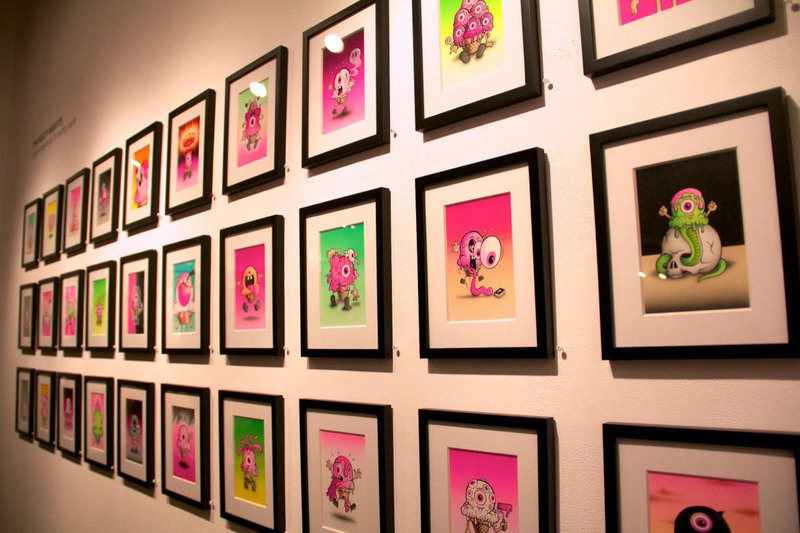 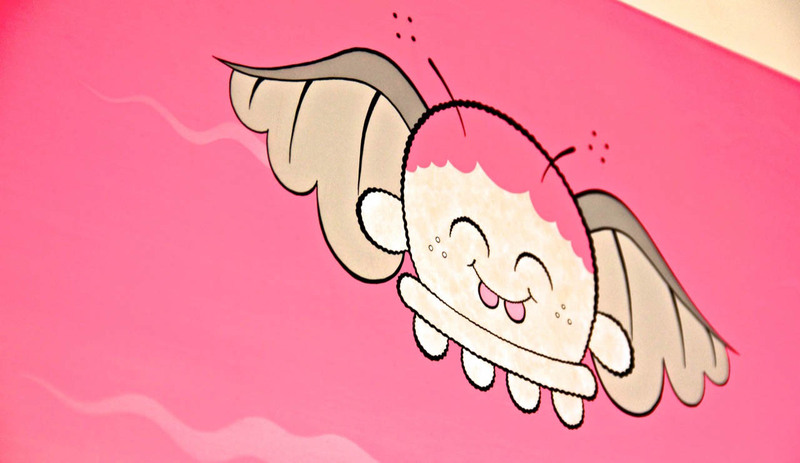 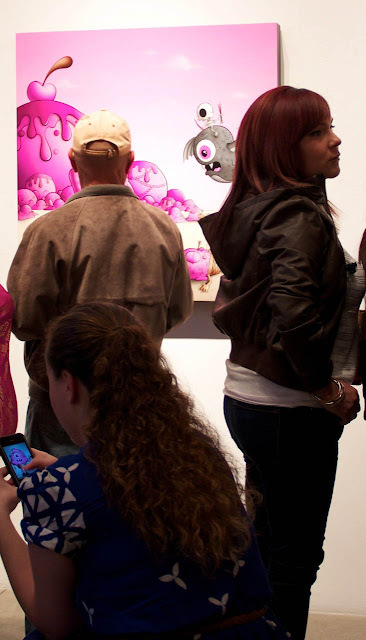 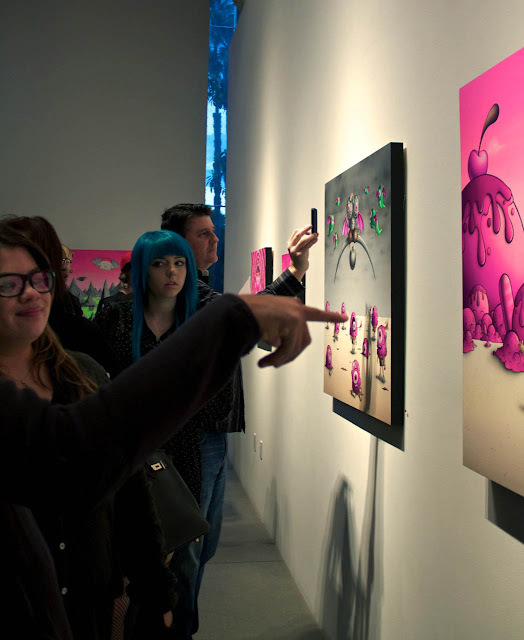 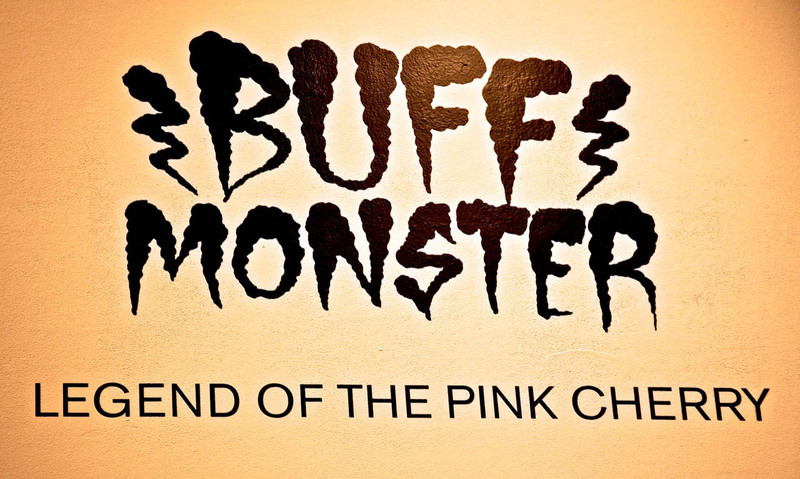 Last night in California, SAN attended the opening of Buff Monster‘s new show “Legend Of The Pink Cherry” at Corey Helford Gallery. 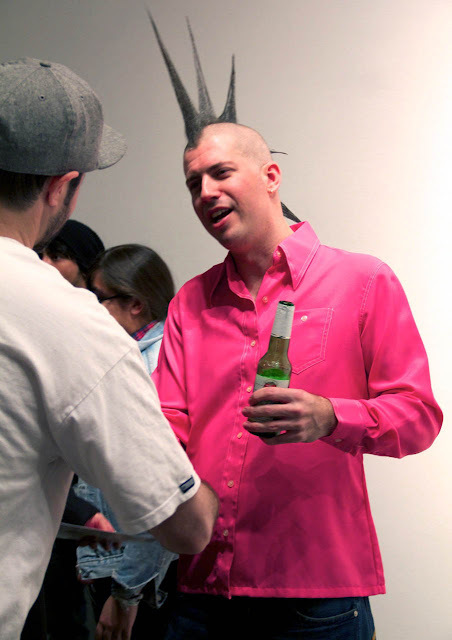 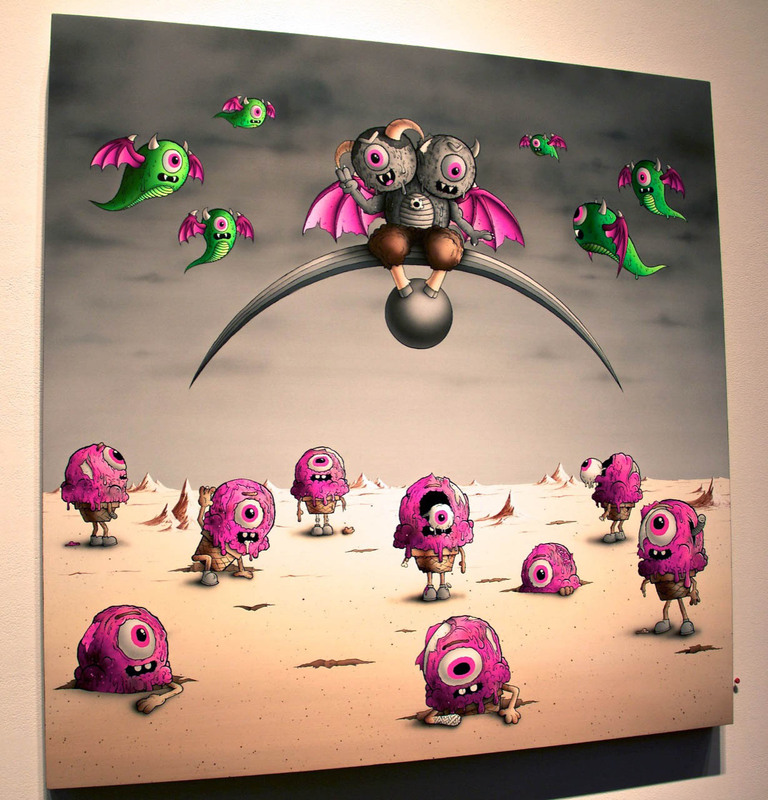 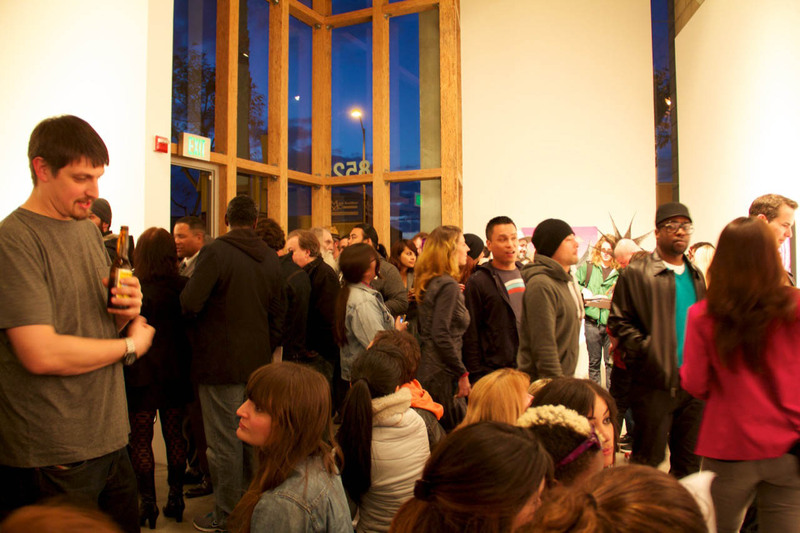 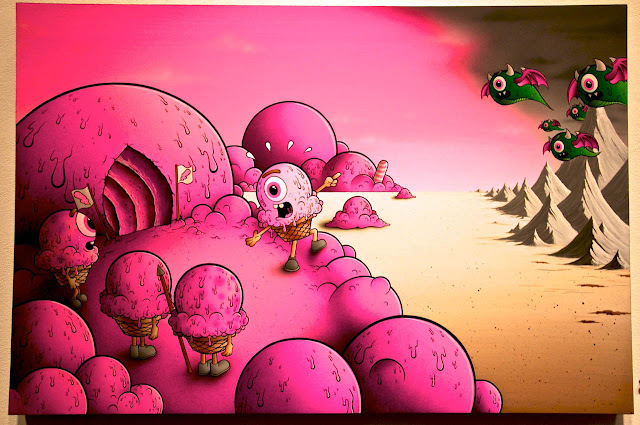 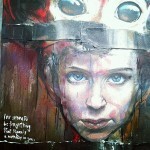 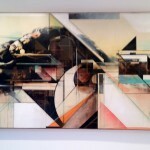 In a Jam packed space, the attendees were able to discover a series of new paintings celebrating the last eleven years of his career, culminating in a timeless epic tale of good vs. evil. 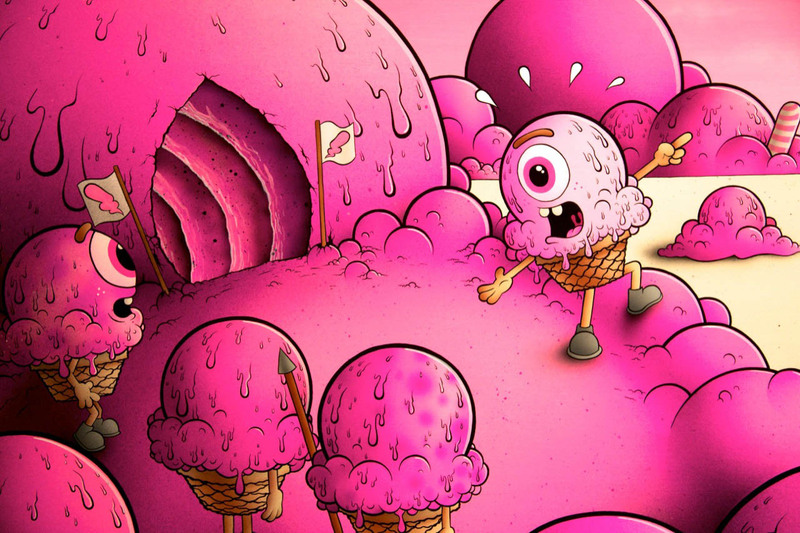 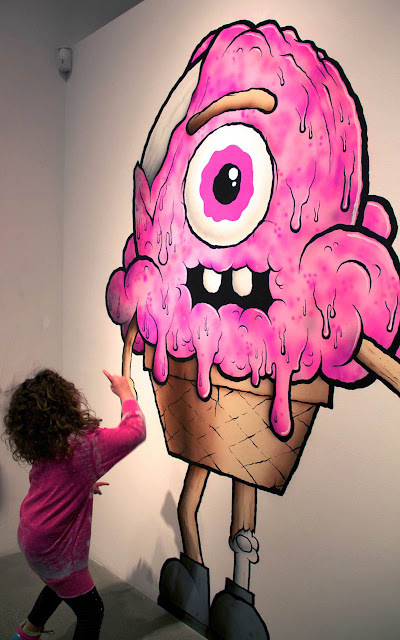 The lover of all pink introduced his latest creamy creation, a soft service ice cream cone with human-like arms and legs. 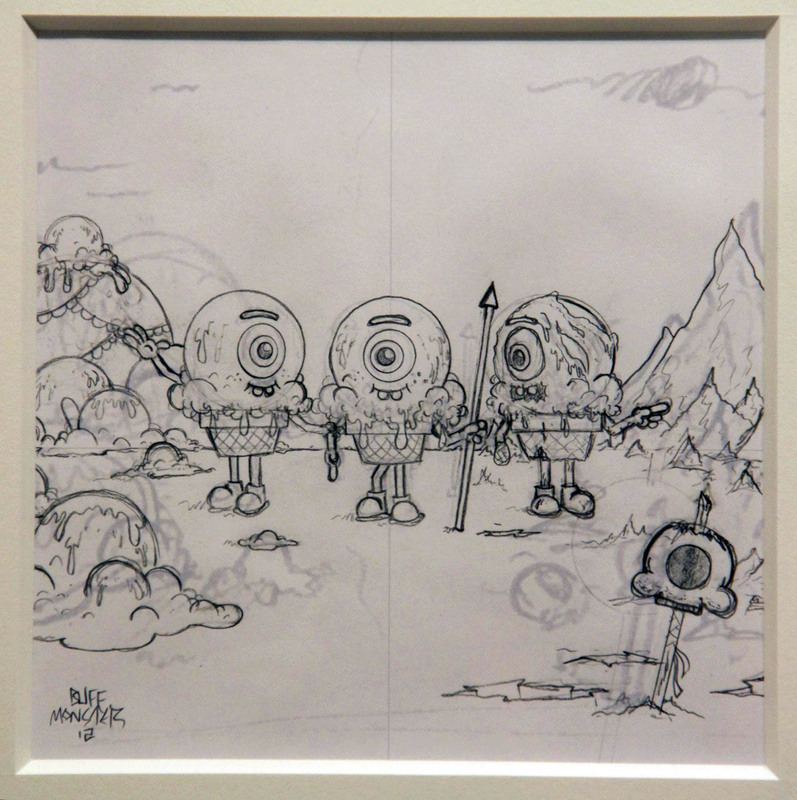 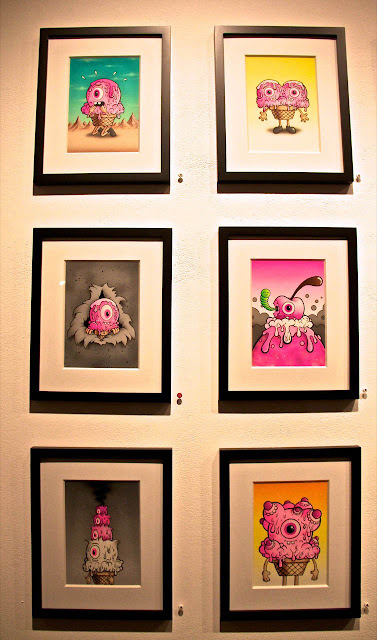 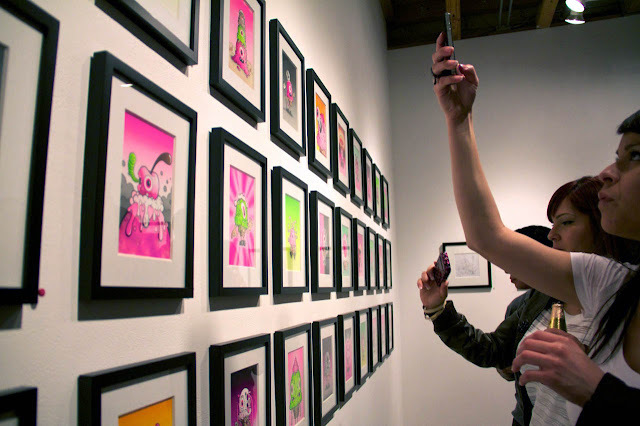 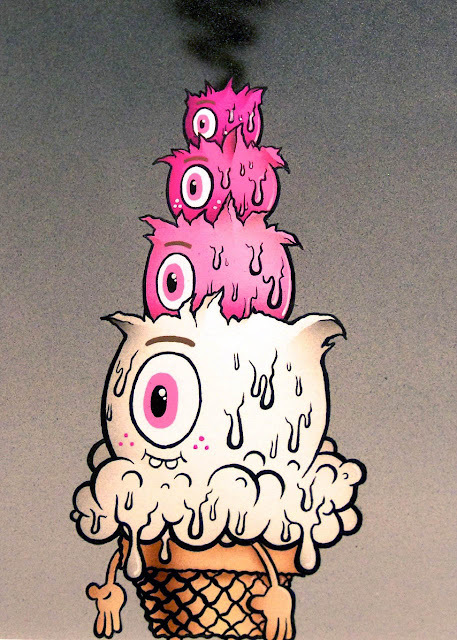 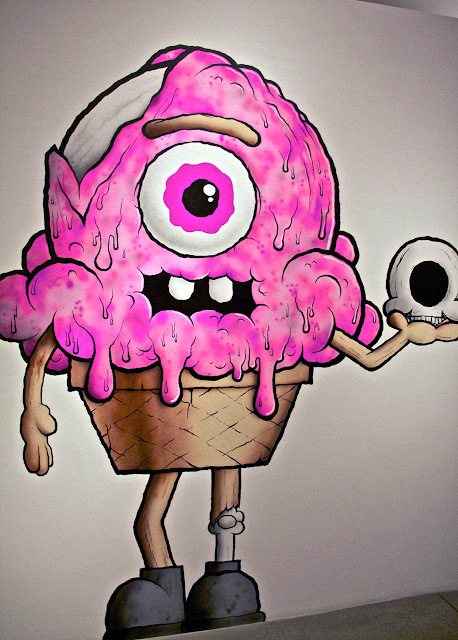 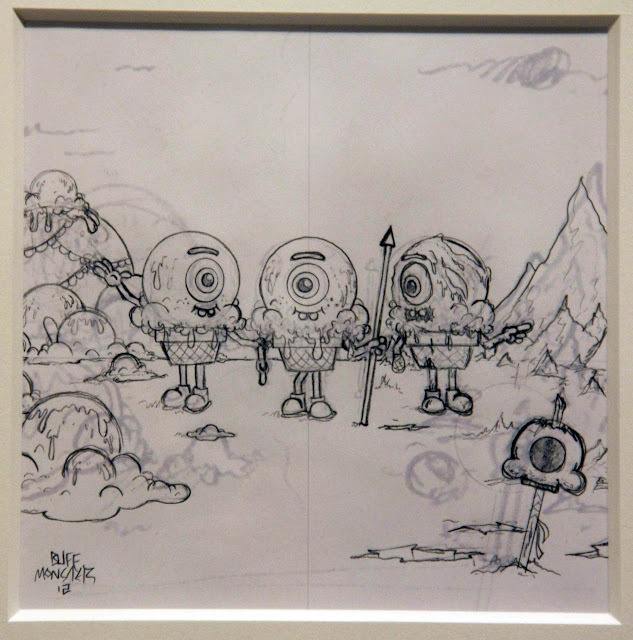 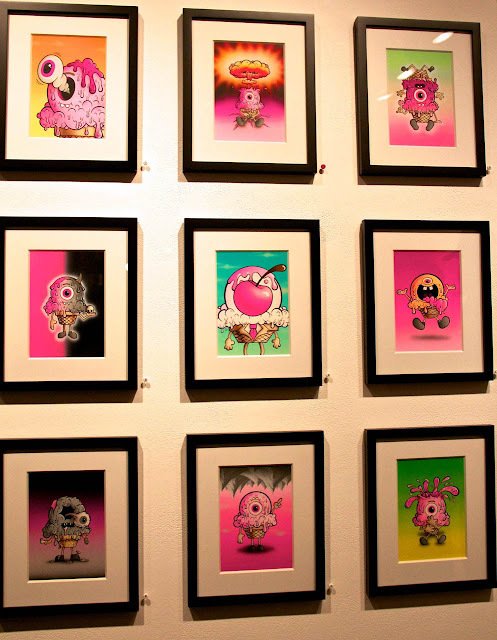 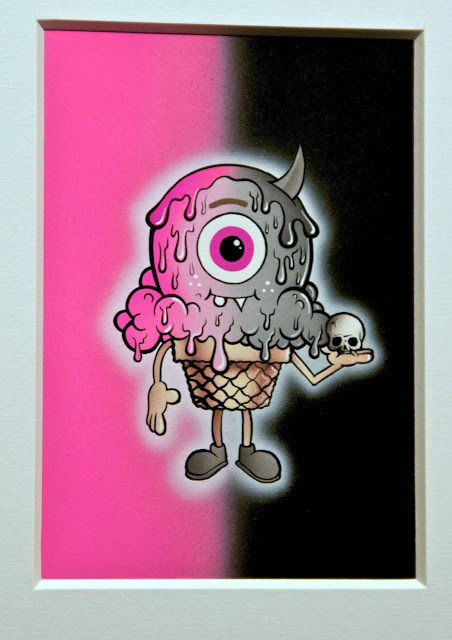 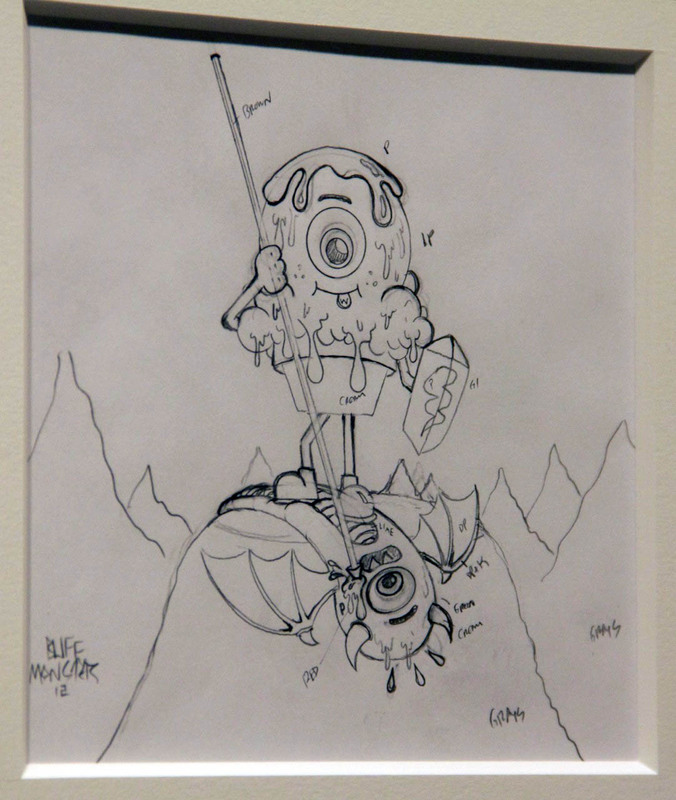 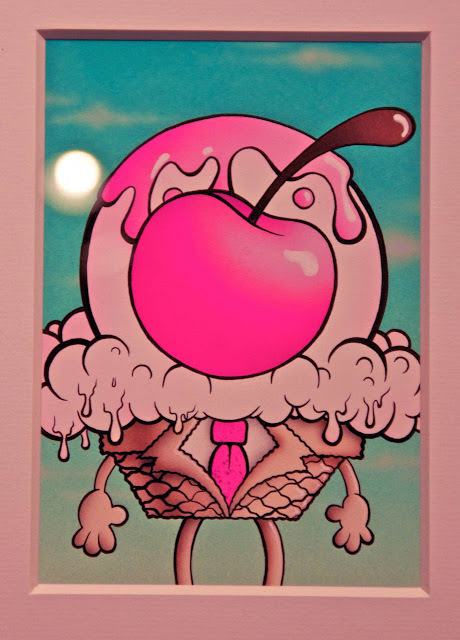 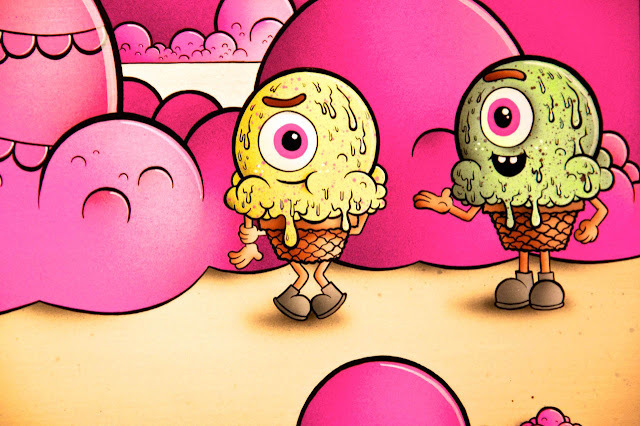 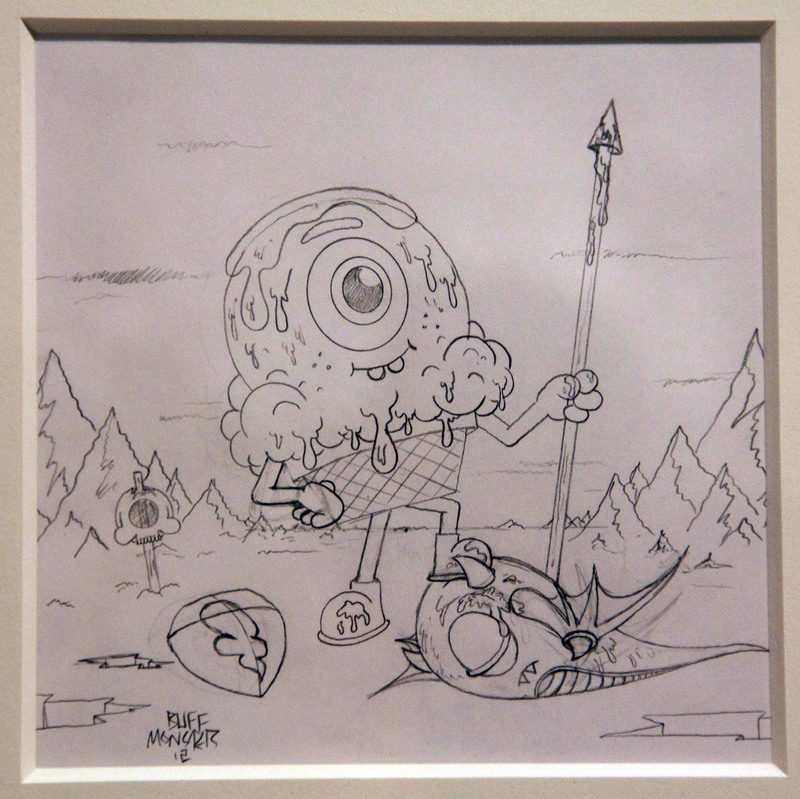 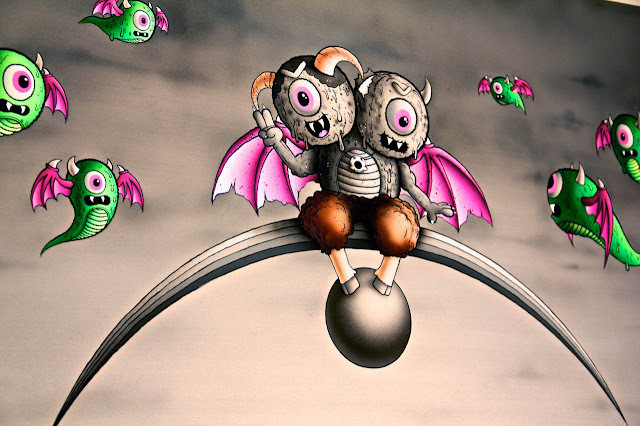 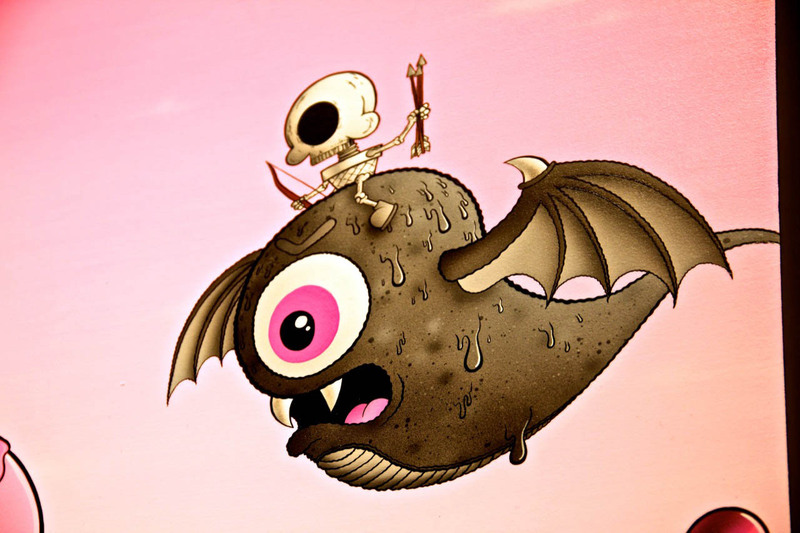 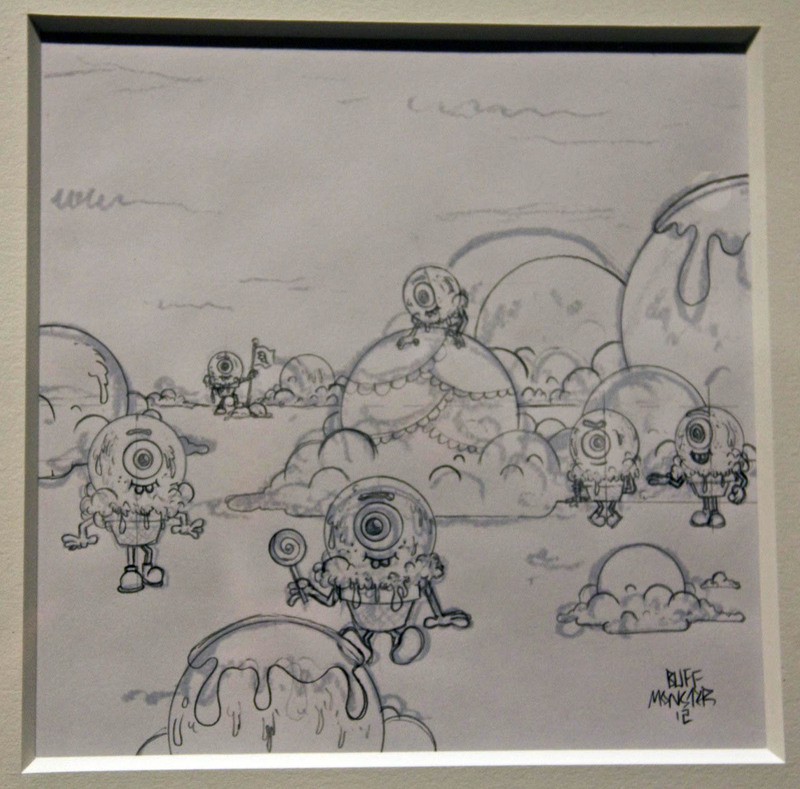 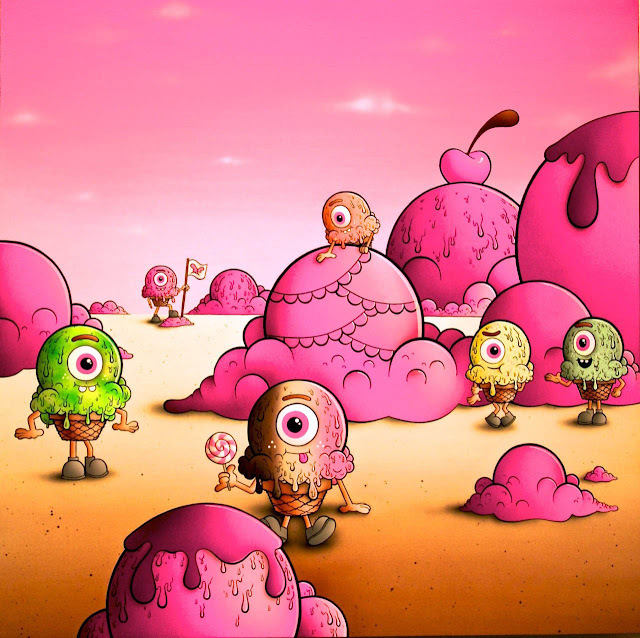 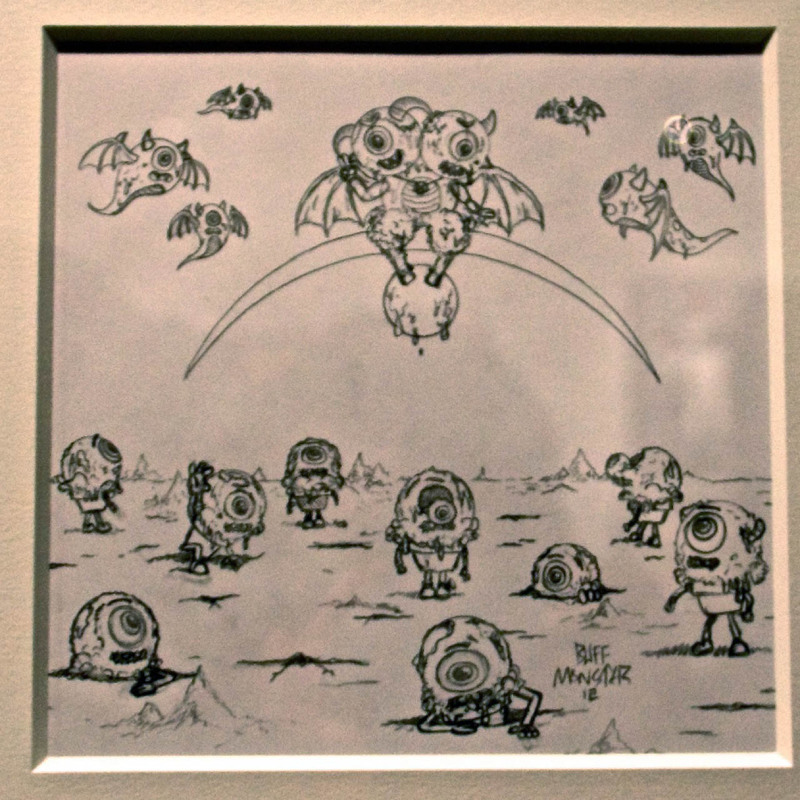 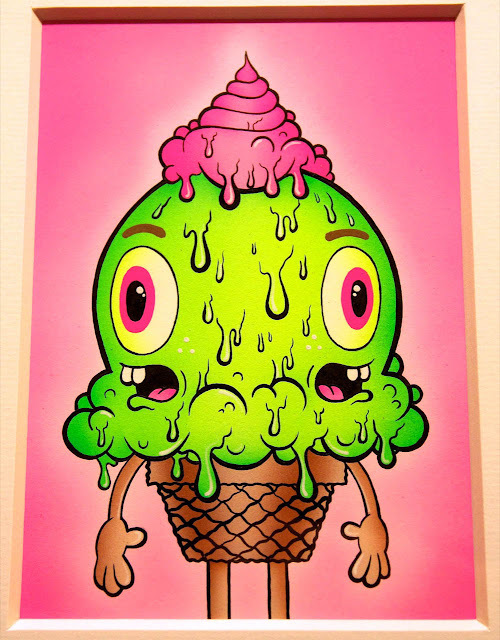 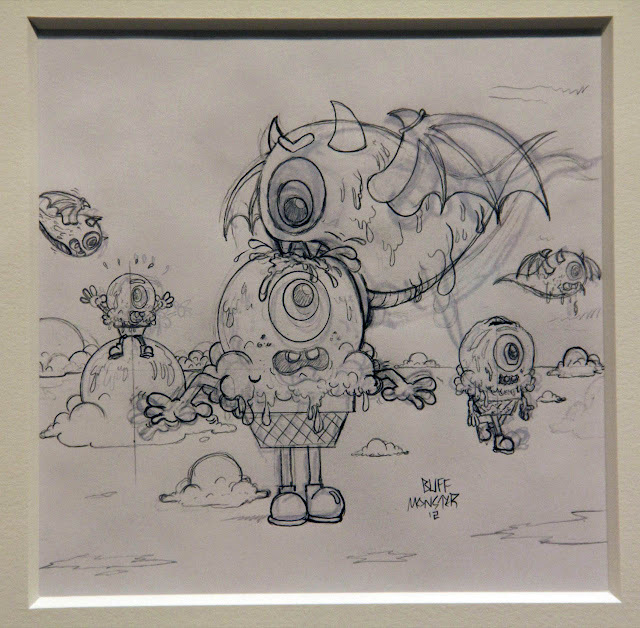 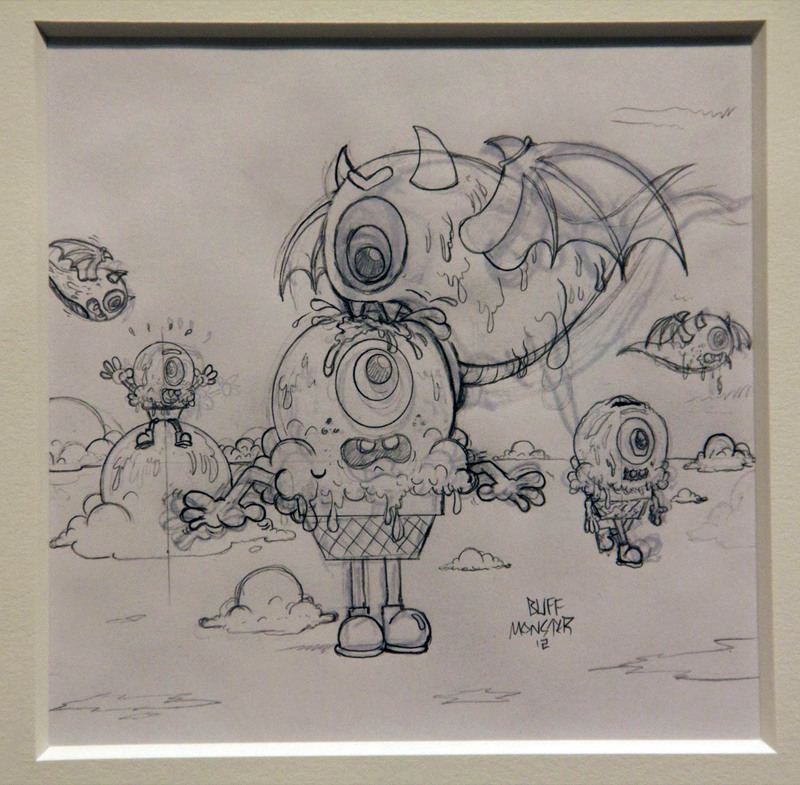 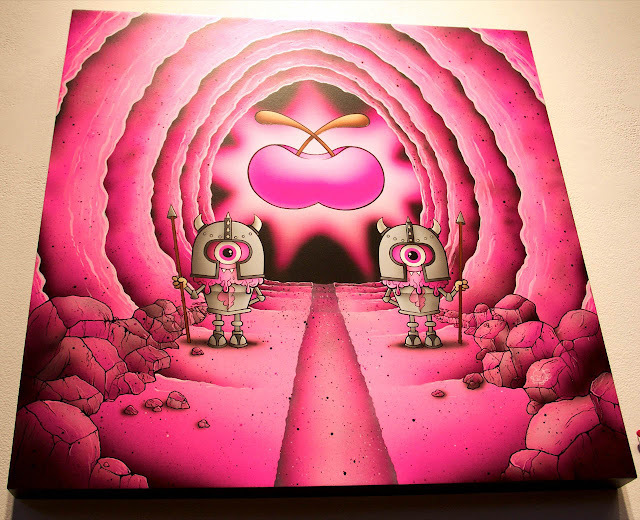 The first floor featured the second half of the exhibition with his new project “The Melty Misfits”, a set of 60 collectible trading cards honoring the Garbage Pail kids, each piece is 5”x7” on watercolor paper with acrylic and airbrush. 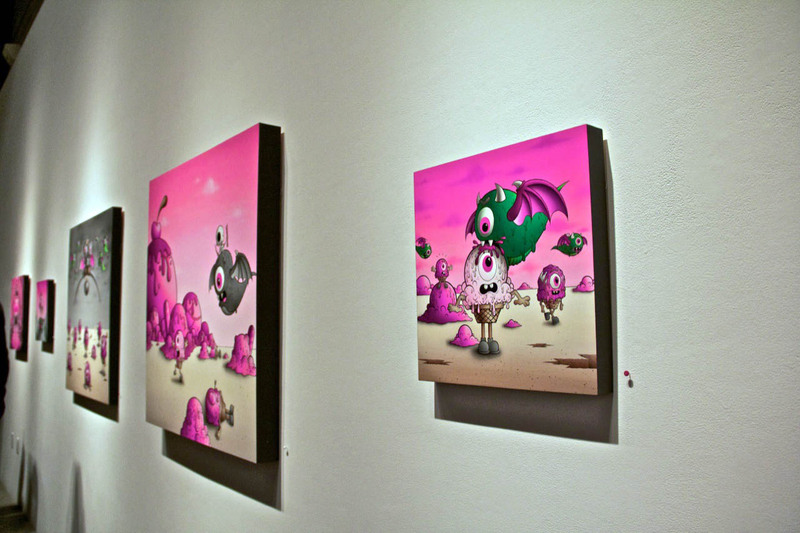 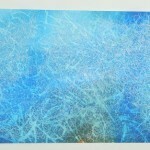 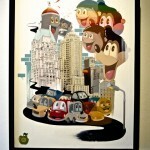 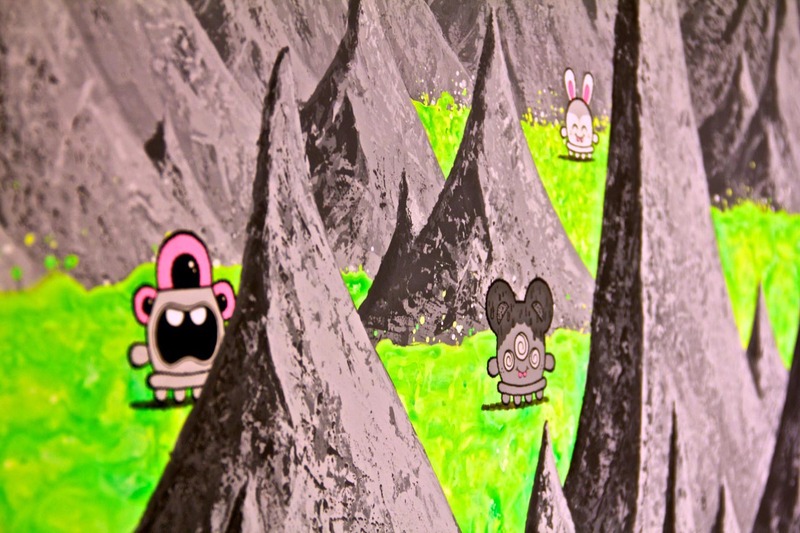 For the first time, each acrylic on wood piece in the show was rendered with airbrush, a new medium for the Los Angeles’ artist.